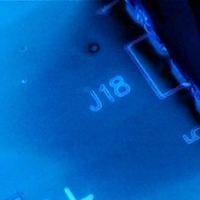 A fish eye is a localised de-wetting defect that looks like a fish eye crater on the surface of the conformal coating. Examples are shown in the images. 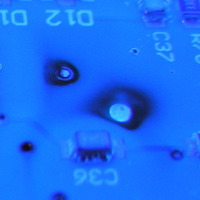 Fish eyes are normally caused by a contaminant on the surface prior to application of the conformal coating. Typically, that contaminant is a substance like a silicon contaminant. 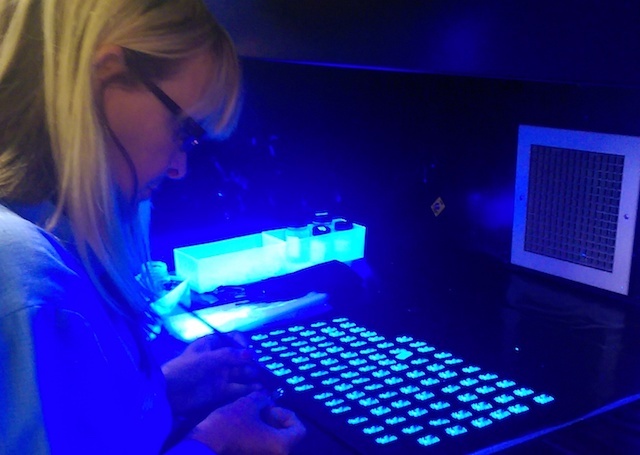 When coating is applied on top of the contaminant, the conformal coating is unable to adhere to the oily surface and a “fish eye” is caused. Cleanliness of Surface: Thoroughly clean the surface of the board before coating. Fish eye is a surface preparation defect. If the surface of the circuit bard has been properly cleaned and degreased, fish eye can usually be prevented completely.